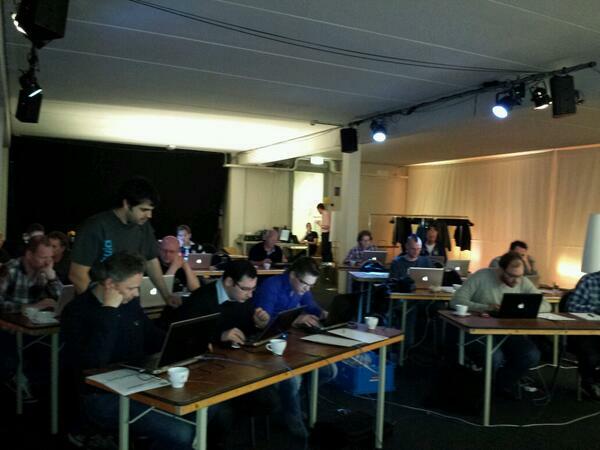 Yesterday the first OpenNebula TechDay took place. And it has been a wonderful experience. Seeing such an involved community, with so many great stories, such determined feedback, great conversations and a really friendly environment made us all participants feel greatly satisfied with the event. We would like to thank all the speakers and all the attendees, we are sincerely looking forward to hear more stories from them. We would also like to send a heartfelt thank you to the host and sponsor of the event: BIT.nl, which besides being an amazing hosting company that likes to do things well (which makes sense since they are using OpenNebula), have made the event run extremly smoothly and really well organized, special thanks to Stefan Kooman and Bart Vrancken! 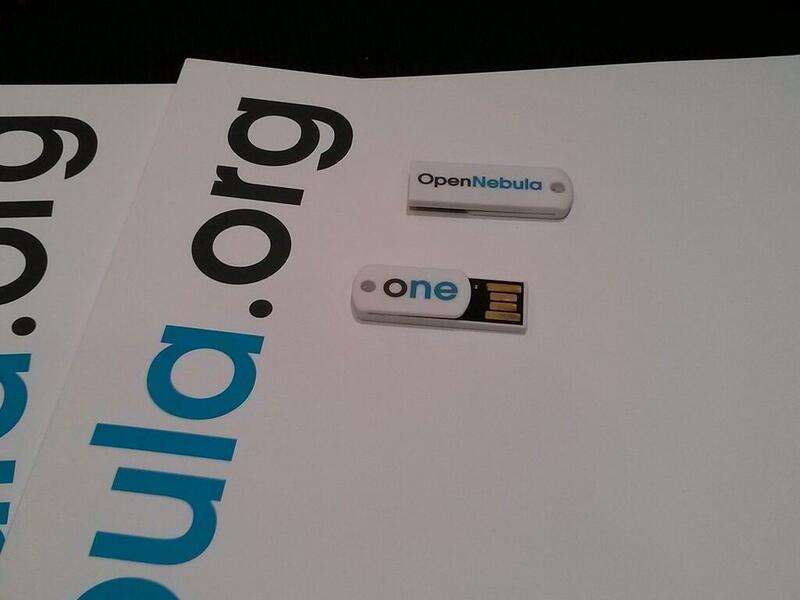 Looking forward to meeting you in the next editions of the OpenNebula Technology Days! 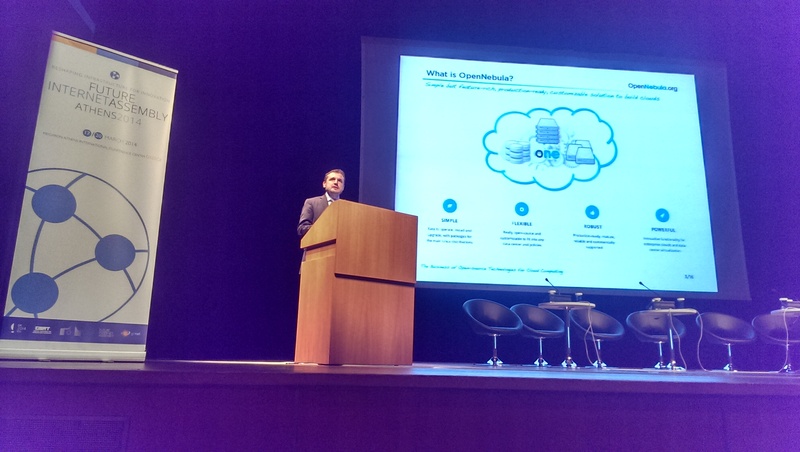 This week we gave an invited talk in the open-source cloud session at Future Internet Assembly 2014. Its aim was to show how OpenNebula is driving innovation in cloud computing, impacting the adoption of private cloud, and enabling business in the cloud. First, most organizations adopt cloud to optimize their IT investment, to improve existing services or to support new business and service models. In this scenario, OpenNebula lowers the barriers for new organizations to build their private cloud. Second, many organizations like the fact that open source allows great customization to meet individual requirements. They can build a differentiated cloud service to meet customers needs or to offer new cloud provision models for a specific market segment or geography. Third, open-source also encourages and supports innovation in the development of new cloud products. We have seen many examples of how its use lowers the barriers for new ICT players to create their own cloud offerings. We wanted to present experiences from users, so we included some details about how OpenNebula is being used by four Europe companies. Big thanks to Armin Deliomini (Runtastic), Stefan Kooman (BIT.nl), Carlo Daffara (CloudWeabers) and Bernd Erk (Netways)!. The yearly spring meeting of the FLOSS UK takes place in Brighton this year. The venue in the Old Ship Hotel in Brighton is typical british and about 100 meters away from the ocean. Independent from the lovely countryside i have the chance to take about our way from manual configured XEN-Instanes to a fully fledged OpenNebula-Cloud. Using OpenNebula for years know, is a big advantage for us and helps us a lot in our daily business. There was a lot of activity in the OpenNebula Project the last year, so i have much things to talk about. 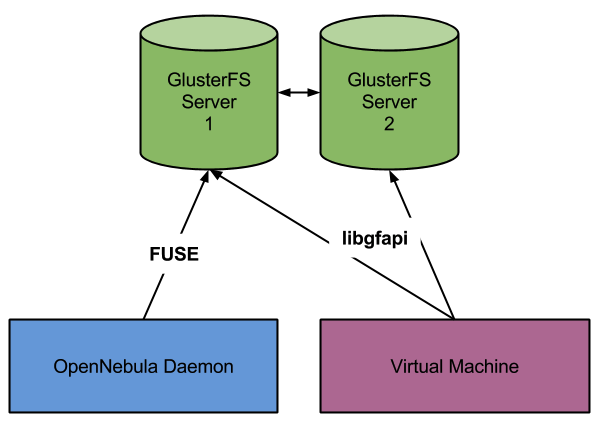 Native GlusterFS Support, improved Network and Storage Drivers are just a few examples about that. If you are in Brighton or have a chance to come over please join my talk tomorrow. Last week we participated at CeBIT 2014. In the unlikely case you are not familiar with CeBIT, it is the world’s largest and most international computer expo (wikipedia’s words, not ours ;) ). We were demoing the latest features in OpenNebula 4.6, as well as hanging around the booth of the active and community engaged Netways, we would like to thank them for the support. 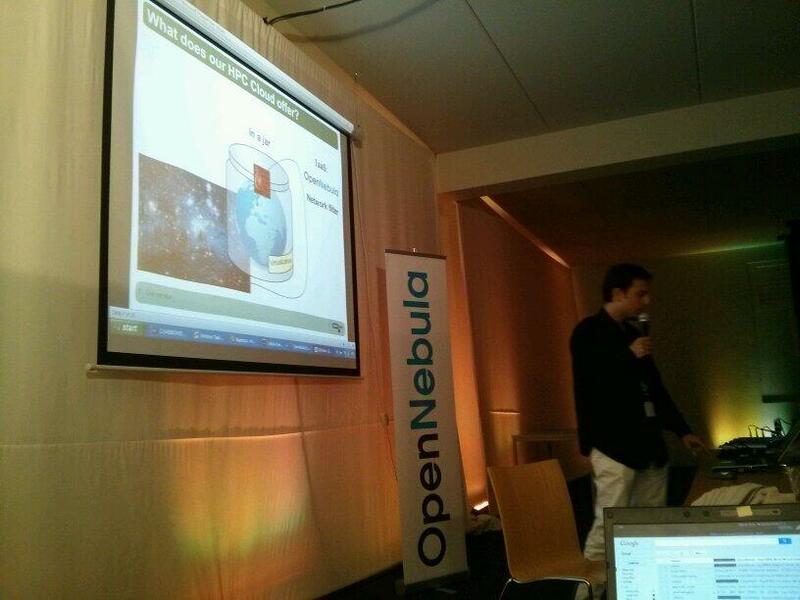 We’ve also featured a talk in the Open Source Park, about the history of the OpenNebula project. All in all, a very good experience. CeBIT is a very interesting place to meet with people who are looking for what you offer, so if you are planning to attend next year and need for an outstanding Cloud Management Platform (aka OpenNebula), see you in Hannover! 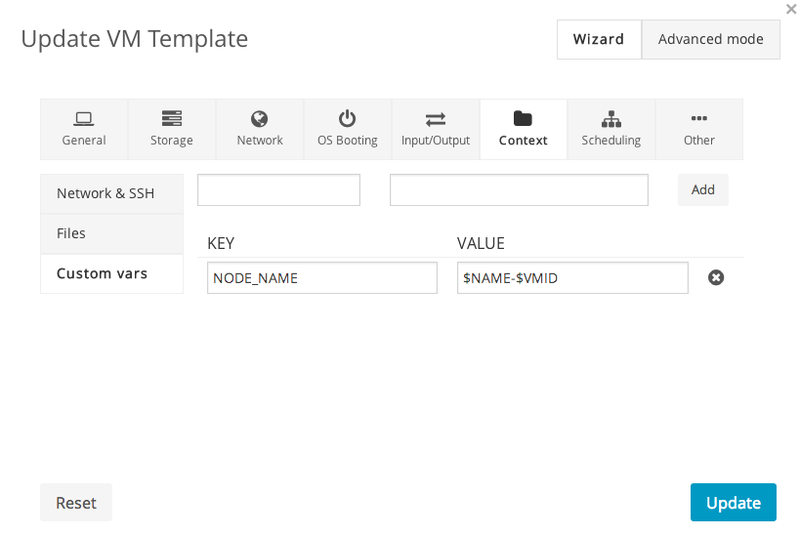 The OpenNebula project is proud to announce the availability of OpenNebula 4.6 Beta (Carina). This release brings many new features and stabilizes features that were introduced in previous versions. Finally, some other areas has received the attention of the OpenNebula developers, like for example a better `Gluster <gluster_ds>` support through libgfapi, improved access to large pools pagination, or optionally limit the resources exposed by a host, among many others are included in Carina. https://opennebula.org/wp-content/uploads/2018/11/opennebula_cloud_logo_white_bg-4.png 0 0 Jaime Melis https://opennebula.org/wp-content/uploads/2018/11/opennebula_cloud_logo_white_bg-4.png Jaime Melis2014-03-17 18:45:192014-03-18 11:03:30OpenNebula 4.6 Beta Released! There are still some seats available, register now! Looking forward to meeting you in Ede. 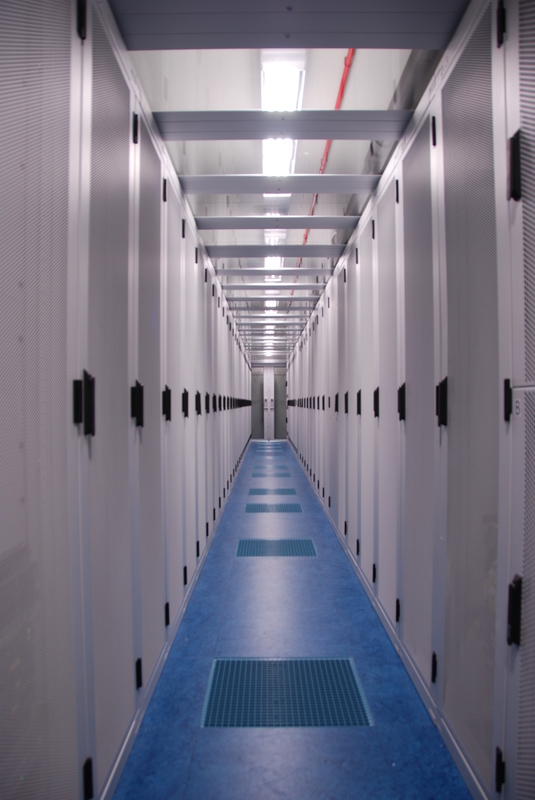 BIT is a business to business internet service provider in the Netherlands specialized in colocation and managed hosting. 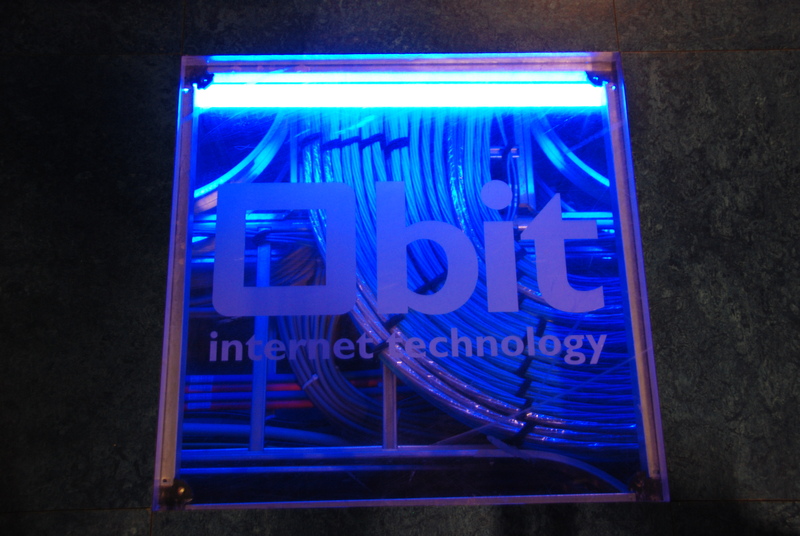 BIT delivers to quality aware customers the backbone of their IT and internet infrastructure. Reliability is the focus of BIT’s services. BIT differentiates through its knowledge, years of experience and pragmatic solutions. It helps that all people of BIT share a passion for technology. We wanted to have a Cloud Management Platform (CMP) that would be easy to manage and would not cost too much of our resources to keep up-to-date. It should also be easy to in-corporate in our infrastructure, be flexible and easy to adjust to our needs. As we’re an ISP operating our own infrastructure we were looking for software that was able to build a “virtual DataCenter”, more functionality then “just” be able to provision a bunch of resources. We have done internet research on some main CMP’s: OpenStack, Eucalyptus, oVirt, OpenNebula. Two of them were tested in a lab environment: OpenStack and OpenNebula. We had lots of trouble getting OpenStack working, hit some bugs, etc. In the end we could never get it to do what we wanted. It became clear the project is moving fast, at least code was flying around, subprojects became different entities of themselves, etc. We were worried it would take a lot of time to get it all running, let alone upgrade to newer versions. OpenNebula core itself might be pretty complex but most of the work is being done by drivers. Drivers that are most of the time easy to understand shell script doing stuff. Using commands that sysadmins are already familiar with, and therefore aren’t scary, and easy to debug. OpenNebula has quite a bit of interfaces. A nice WebGUI always helps to get familiar with a project. If you can just “click” something together that actually works it’s pretty impressive. 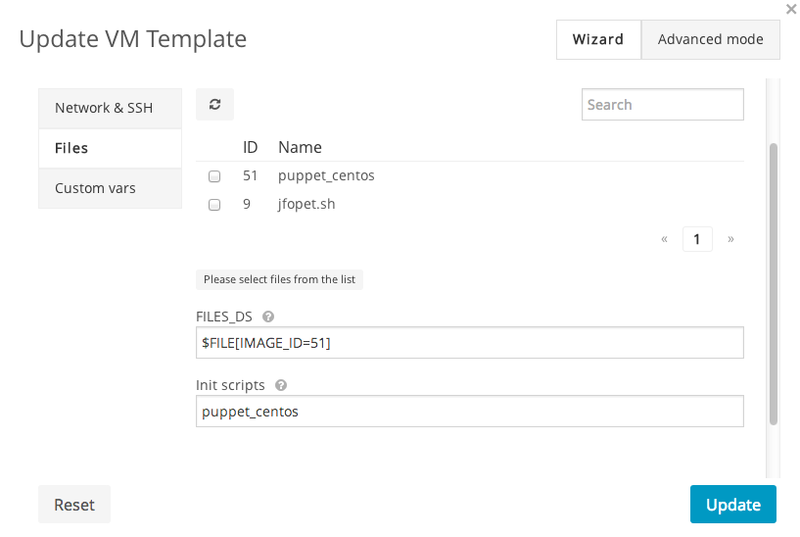 But the OCCI interface and XML-API are really useful to enable integration with our workflow and administrative systems, especially with the nifty “hooks” feature. OSS to us is more that just “free to use” software, although the liberal license makes it easy to just “start using” without the need to worry about all kind of licensing issues. It gives you the possibility to, if needed, make your own adjustments and fit your use case. OpenNebula is flexible enough to extend without the need for “hacking the source”. Although it’s possible it’s (most of the time) not needed, which is a big plus because it makes following “upstream” easy. But OSS by itself is not enough for a project to be successful and succeed. It’s about the way the software is developed that is of vital importance. The OpenNebula way of developing software is open, and user focused, The “voice” of the community really matters. The cliche “software made with and for the community” really applies here. If users get (positive) feedback about their input they feel appreciated and be more “connected” to the project. The “atmosphere” on the mailing list is friendly and open. No flame wars, or negativism here, so it keeps users “in” instead of pushing them away. OSS models most of the time have an easy way to communicate with developers. With (big) commercial organizations this is often not possible or very difficult. It’s all about technical excellence, not about profit. A few days ago we were at the Cloud Expo Europe 2014 event in London. 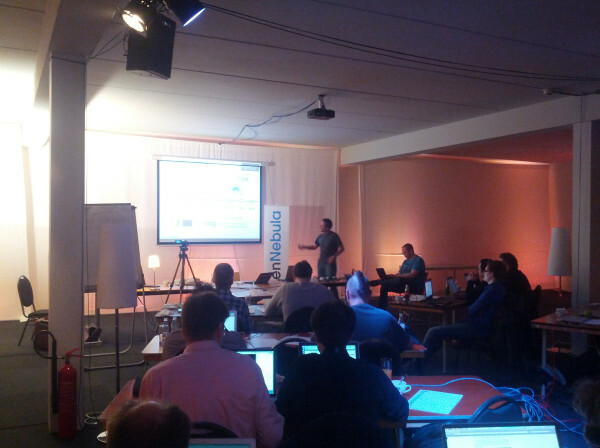 As part of the Open Cloud Forum sessions about open source cloud solutions, there was an OpenNebula tutorial. Now, this is a hands-on tutorial where attendees are supposed to follow the slides and build their own small OpenNebula installation in a virtual environment, and the people that showed up were not really interested in replicating the tutorial in their laptops… But after the initial let-down, it turns out this was a very engaged audience that showed a great interest! Because the introduction and basic configuration tutorial was done fairly quickly, we had time to continue with a question & answer session that lasted more than the tutorial itself. “It looks far better that I expected for what I thought was a research-only project”. Well, OpenNebula is a solid product, and it has been ready to be used in production for quite some time. Take a look at the featured users page. “But what if I need a level of support that an open source community cannot guarantee?” Good news! C12G Labs, the company behind OpenNebula, has you covered. The best thing is that the commercial support is offered for the same open source packages available to anyone. “Is the VMware support on par with the other hypervisors?” Absolutely! All the features are supported. You can even use a heterogeneous environment with the VMware hosts grouped into a cluster, working alongside a KVM or Xen cluster. We also had time to talk about advanced OpenNebula features. Our documentation is quite big and reading all of it is definitely not appealing, but if you are starting with OpenNebula I recommend you to at least skim through all the sections. 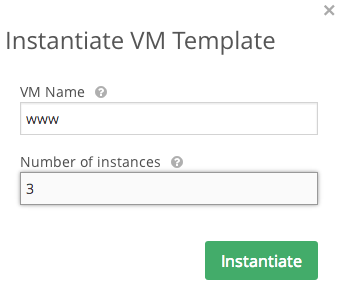 You may find out that you have several storage options, that OpenNebula can manage groups of VMs and has auto scaling features, or that VM guests can report back to ONE. People were also very interested in the customization capabilities of OpenNebula. 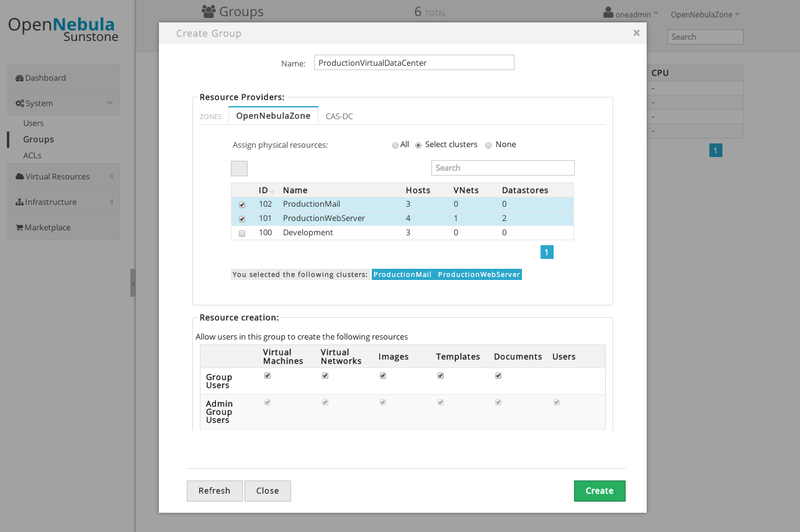 Besides the powerful driver mechanism that allows administrators to tailor the exact behaviour of OpenNebula, you can also customize the way it looks. The CLI output can be tweaked in the etc configuration files, and Sunstone can adjusted down to which buttons are shown with the Sunstone Views. Thanks to the engaged audience for their great interest and their feedback. See you next year!